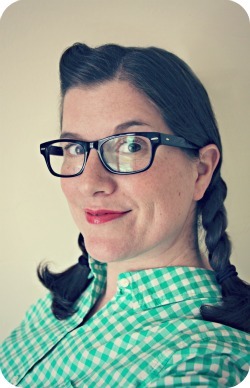 WhiMSy love: Summer Diary Day 91: HONK! 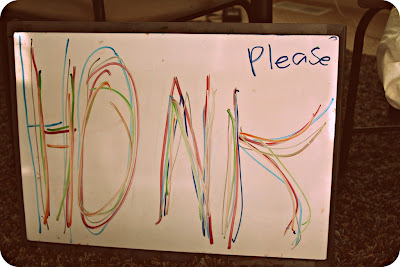 Summer Diary Day 91: HONK! 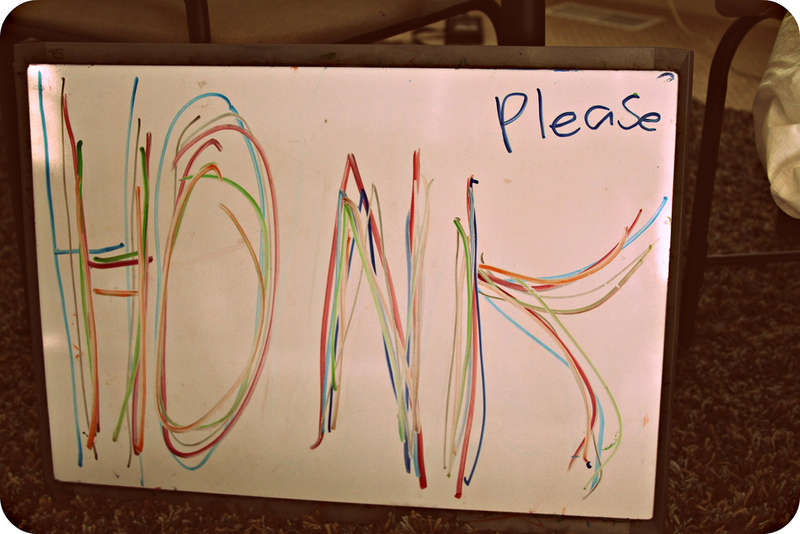 Sometimes, an afternoon of summer fun simply means: standing on the corner with a sign that says HONK!...please. So sweet! I love it. Was there a lot of honking? There WAS quite a bit of honking! We have a lot of semi-trucks that go by here ALL DAY LONG & those were the best honkers of all!